In the world of object-oriented programming, objects refer to all the things that make up your database, such as forms, reports, controls, and so on. By encapsulating code into objects, you make programs easier to maintain and code easier to re-use. 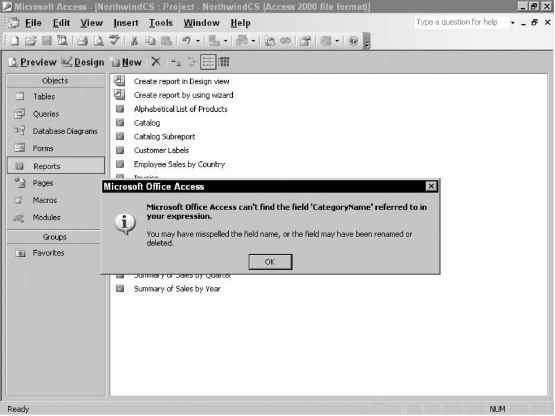 Microsoft Access has several collections and objects that can be used to manipulate the objects contained in your database. For example, you can determine all the forms in your project for some useful purpose, or you can work with a particular form. With these object-oriented concepts in mind, turn to Chapter 4, where you will create custom objects.